After the first of our seafood dates in Klaw, Ms. L and I decided to visit Fish Shop next. 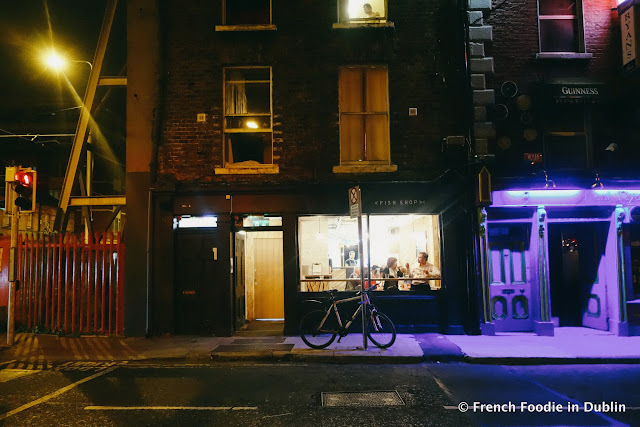 Fish Shop is owned by the couple who ran Fish Shop in Blackrock which I enjoyed and reviewed a while back, so I was pretty sure their venture in Smithfield would be a good one too. I was a bit anxious though as Ms. L is from Normandy and very particular when it comes to fish. I remember her telling me how she dislikes how people in Ireland always tend to batter everything. I had to warn her that Fish Shop was no exception but better at battering fish than most of the other places in Dublin. We visited on a weekday and the restaurant which can only sit 16 people was packed full, so I left my number and we went for a drink across the road in Dice Bar. It didn't take long to get the call from Fish Shop to let me know a table had just become available. Fish Shop is tiny and they kept the decor simple with bare bricked walls, hanging exposed bulbs, school chairs and white tiles on one of the walls where they write their specials. There are a few stools for sitting by the large window, a few tables very close to each other and a large open kitchen. 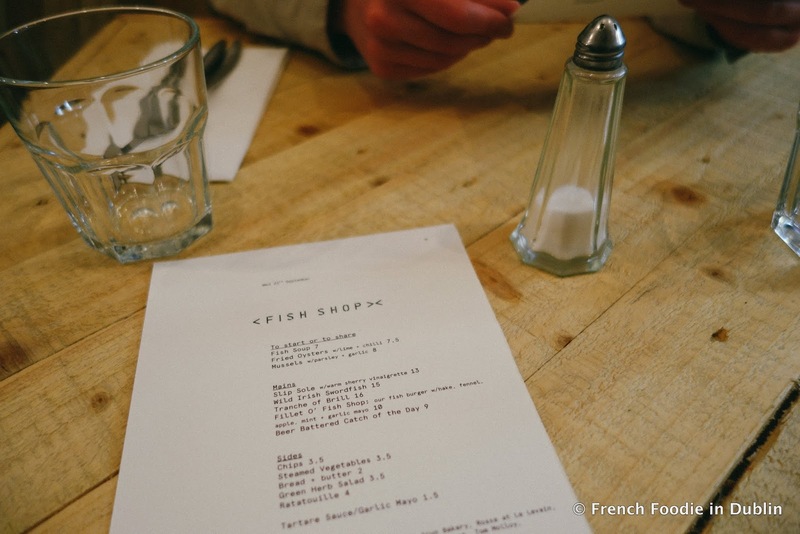 The short menu changes regularly but it's good to know that they post it on their Twitter feed . We started with fried oysters (€7.50) to share. 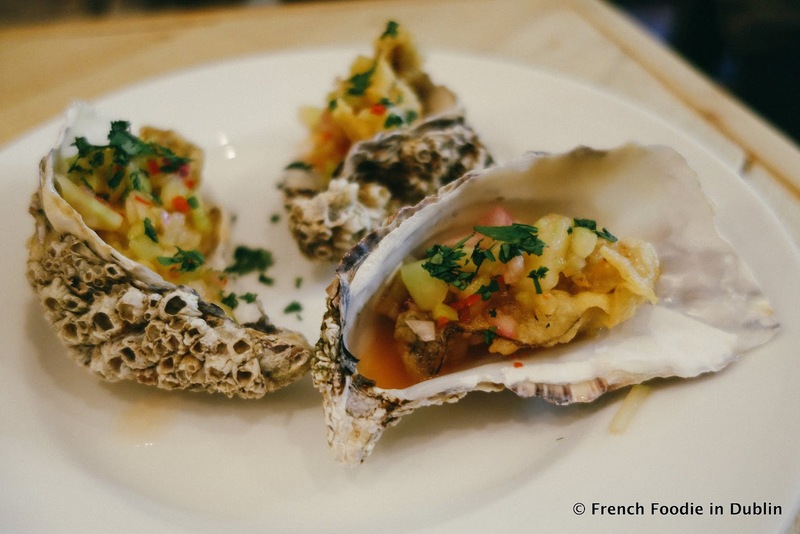 Three oysters on a white plate were brought to us, coated in a very light crispy batter and dressed with a zingy salsa including chilli, coriander and lime. Even Ms. L who isn't fan of battered seafood enjoyed it. 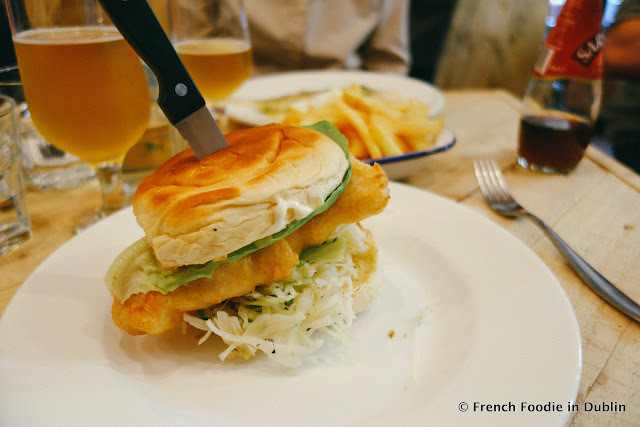 Next I went for the fish burger (€10) with consisted of a delicious brioche bun filled with a crisp battered fillet of fleshy hake, garlic mayo and a crunchy fennel and apple slaw with subtle hints of mint. It could have probably done with a little be more salt but overall was a good fish burger, mainly thanks to the quality of the bun and of course the fish, not greasy or soggy at all. 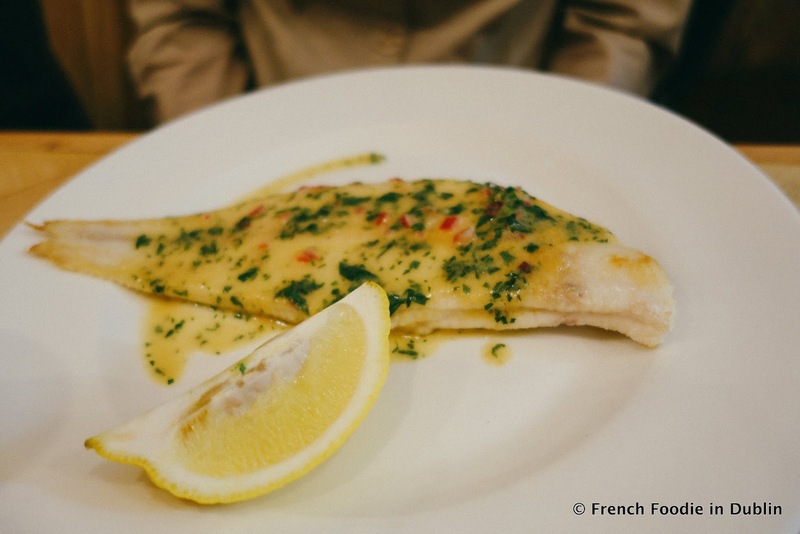 Ms. L had the slip sole (€13) which was beautiful cooked and served with a sherry vinaigrette and a wedge of lemon on the side. She was very happy to finally see a fresh fish cooked and served simply. 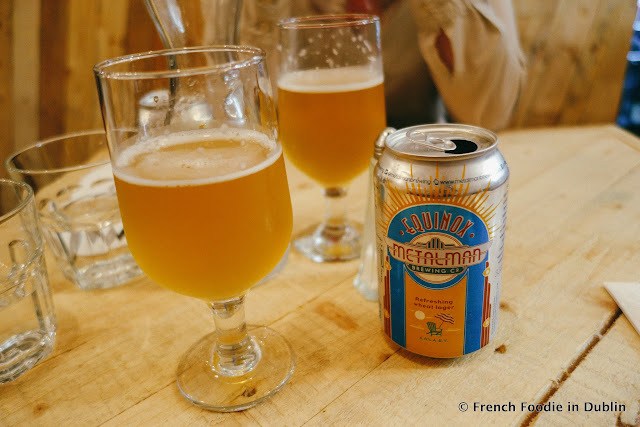 We shared a portion of good chips (€3.50) as the mains don't come with anything else on the plate and drank a can of Metalman's Equinox wheat beer which I can't get enough of at the moment. We didn't have room for dessert but the choice looked pretty limited anyway in terms of pudding. Overall a lovely little spot but not the place for an intimate conversation or for getting too cosy. It's a bit like a hybrid of a chipper and a casual restaurant; you kind of feel that you have to rush out because of their waiting list and the staff are standing quite close to you. That said, it's nice to see Irish people finally embracing their beautiful fish and seafood and seeing more places celebrating them.